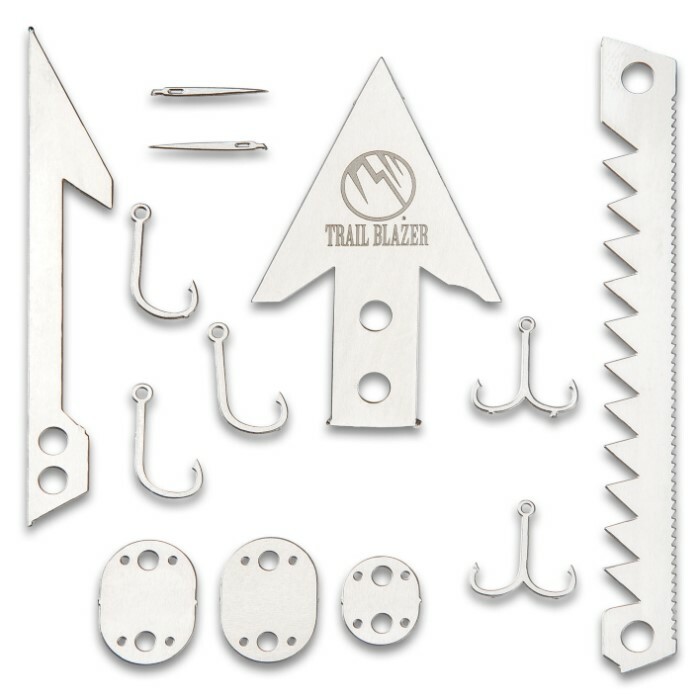 Trailblazer Survival Multi-Tool Card - Aluminum Construction, Multiple Fish Hooks, Arrow Head, Needles, Saws - Dimensions 3 1/2”x 2” | BUDK.com - Knives & Swords At The Lowest Prices! 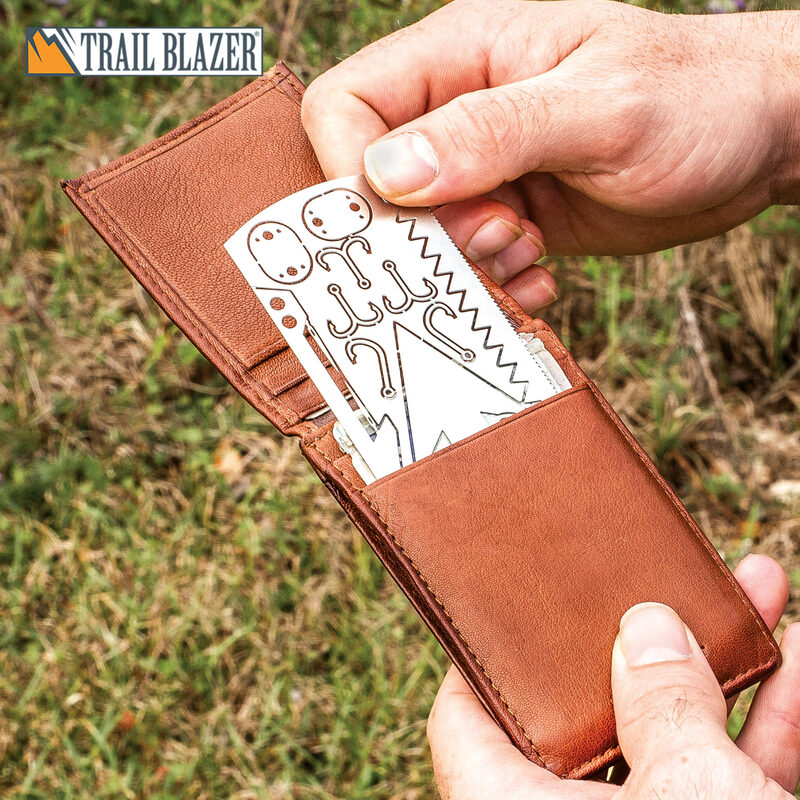 Using experiences from expert survivalists as an inspiration, the Trailblazer guys came up with the design for the Survival Multi-Tool Card. 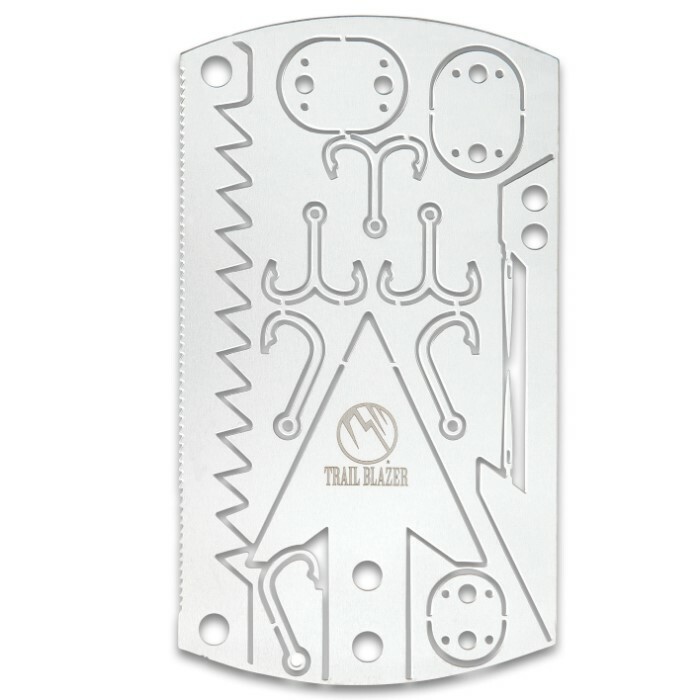 It is the most effective tool-filled survival card that has been designed to date! 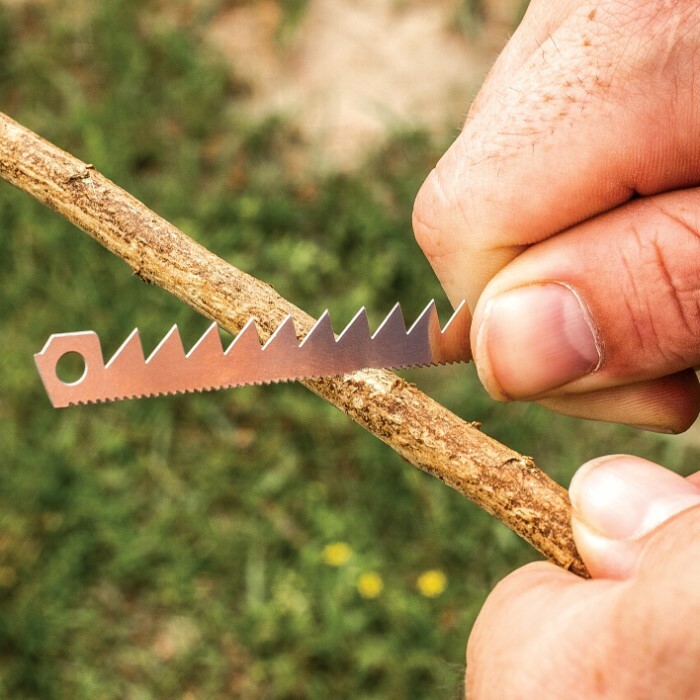 It provides a set of tools and devices that are a “game changer” for somebody in a survival scenario and it has a flexible aluminum construction that makes removing the tools quick and easy. 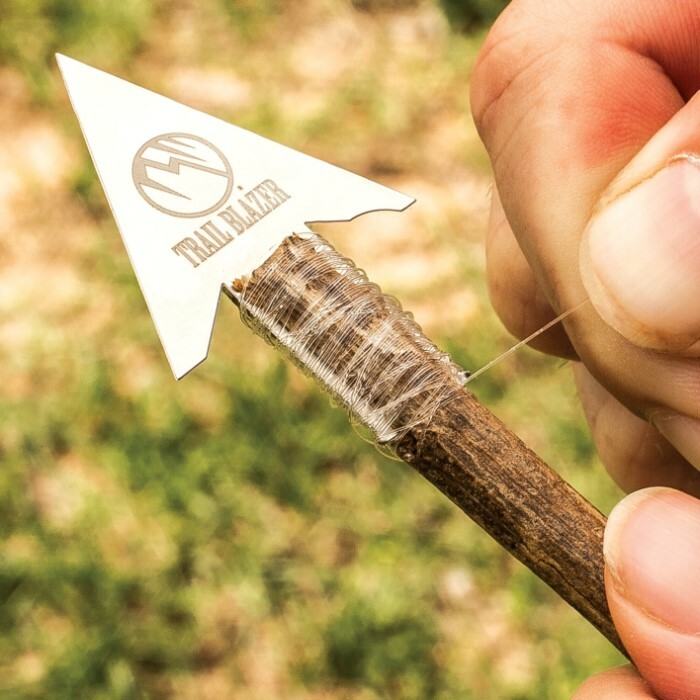 The 3 1/2”x 2” card has tools that include an arrow head, ripping saw, fine saw, three snare hooks, three fishing hooks, three treble fish hooks, two sewing needles and a spear tip. With this many survival tools on tap, you absolutely must add this to your survival kit and bugout gear.